This review was last updated on April 11th, 2016. ASUS is a huge name when it comes to performance personal computer hardware. From enthusiast to pro gamers, ASUS is an industry leader in motherboard, monitor, and GPU manufacturing, as well as a high performance collection of gaming laptops, including their world renowned ROG line. 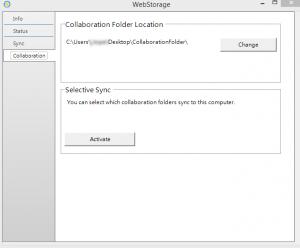 For a few years, Asus WebStorage has been offered as their own cloud solution and has changed quite a bit over the years. Unless you bought Asus hardware, you most likely never heard of their cloud storage, but many existing customers did turn to it, especially many years ago, when unlimited storage was offered at base prices. But, has Asus been able to deliver the same level of quality we are used to seeing with their hardware? Let’s find out. Asus offers a free account with 5GB of data with limitations placed on features such as bandwidth and file size, there is also limitations placed on support. Their web storage plan offers 100GB and is billed yearly at $23 USD. Alternatively for $100 per year, you can upgrade to 500GB. The price is actually not terrible, but also on par with some competitors offering a similar basic cloud storage solution. The service essentially provides basic file backup and sharing services whilst coupling some other features that tie in with their apps or hardware. Very similar to Dropbox and other consumer grade cloud storage services as far as the interface goes, but nothing really advanced or unique about it other than being able to chat with users on shared files and folders, digital handwritten notes, and full Microsoft Office integration. Asus WebStorage guarantees secure server and transfers across their servers. However, they don’t dive into much detail behind any security features. There is no information on encryption levels, or server protection other than that they take high measures in order to keep all of your information private. They also promote better user account protection with 2-step login verification, real-time virus scanning, and saved detailed logs of every time a user signs into the account. Though they do have a competent and useful web storage service, on the whole, I wasn’t too pleased with their transfer speeds. To test out their service, I tried uploading a 135MB video file, and it took about 35 minutes for the transfer to complete. Users should note that I am on a moderately slow Internet connection with only 5Mbps download bandwidth and 1Mbps upload. Still, even with my lackluster Internet connection, Asus Web Storage was slower than other providers who were able to upload the same file in as little as 17 minutes. The service allows for full computer backups, or select folders only. You can synchronize it to your mobile devices and have all your pictures automatically uploaded to the cloud as soon as they are taken. Additionally, Office documents can also be automatically backed up, with smart file version updates allowing you to recover an old version. Outlook attachments can also be added to the list. However, the service does not focus strongly on backup and does not offer any type of scheduling or advanced options beyond those offered. 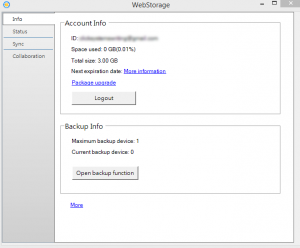 Many users have unfortunately reported ASUS WebStorage to be unreliable. 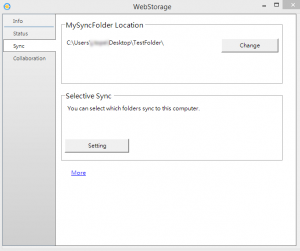 Users have warned that the sync functions don’t do well with multiple devices and could happen to clear folders completely. Others claim restoring old files they had not accessed for years failed to work. Data loss is not what you want to hear from multiple users when it comes to your cloud storage provider. Restoration is made easy with a one click key access to restore all your files in the event your hardware fails. This makes it simple to get all your important data back in the event of an emergency, but with so many reported cases of problematic storage and bugs when using their cloud solution, the last thing you want to do is solely depend on the service as your main backup. Redundancy is key, and I’m not telling you not to use the service, especially if it works well for you, but having more than one cloud backup is always a great idea when applicable. 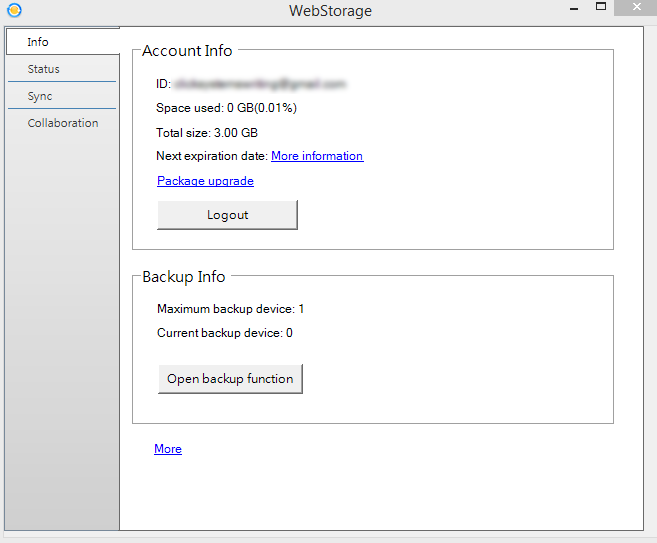 The WebStorage support section has a highly detailed information base for users to browse. They also offer a ticket based system to reach them in the event your question is unanswered, they don’t offer any other means of contact such as phone or live chat. ASUS is a very large company that provides excellent computer hardware although to be honest their cloud storage services are not in the forefront of what they, nor sadly is the support service provided. Overall, ASUS WebStorage has been around long enough to no longer be a new service, but it failed to make an impact. Most people don’t even know about the service even if they have purchased ASUS products in the past. The majority of the client base is initially attracted to the service after purchasing a laptop or hardware that came with a voucher for extra free storage. But, in the end, speed, bandwidth limits, and poor reviews as early as this year regarding data loss leads me to suggest to stay away. With so many other options out there, I am hard pressed not to suggest to look elsewhere. ASUS might one day bring us a very solid cloud backup and data storage service, and they are continually updating and improving the service. If you have had a good or bad experience with them, please leave us your comments below. I used the free space that came with the computer and bought more on a one time special deal. It worked for awhile then failed to sync across any of my devices. Customer service sent a generic resolution that did not work. I sent them the requested information. They responded that the ticket had been closed and they hoped I liked their customer service. Further attempts to contact customer service over several months received no response. I regret losing the money for extra storage, but I guess that it is the cost of another of life’s little lessons. They have a nice webpage which promises wonders, but delivers nothing. Dang, just saw this two review and I just signed up for their 1TB cloud storage. We’ll see how this goes..
Hi Ross – any update on how it is going? I am specially interested in the upload speed and limits of fize size and transfer per day. And… how did it go? 🙂 I want to try it too!. I have a 1TB cloud storage. I often can not download my files because the connection is interrupted. The download speed is often 1KB / s. I have internet speeds of 80 / 10Mb. I uploaded 230GB to their cloud when the connection was good. Now I can not download almost anything. I have to pay for another year in the hope of saving my data.